On Friday, April 28th, 2017, the McKinsey Global Institute and New York University’s Stern School of Business hosted the first Digital Future of Work Summit. Convened by Susan Lund and Arun Sundararajan, the Summit brought together over 400 business executives, entrepreneurs, academics and policy makers to discuss the forces that are shaping tomorrow’s workplace: the rise of freelance, “gig,” on-demand, and other non-employment work arrangements, along with the advent of artificial intelligence and robotics-driven labor automation. We explored what futures of work are realistic to anticipate, how fast they will emerge, and what must be done by industry and society to prepare. In-depth parallel afternoon sessions took a deeper dive into specific topics. The discussion was anchored with real intelligence from academic research and industry practice about both patterns of change in work and the technologies that are causing them. Rather than being excessively idealistic or futuristic, the discussion was pragmatic, about what is happening now, paving the path to actionable near-term strategy and policy. As president and chief executive officer of Kelly Services®, Carl Camden is a recognized thought leader on talent management and how companies can adapt to succeed in the changing economic landscape. 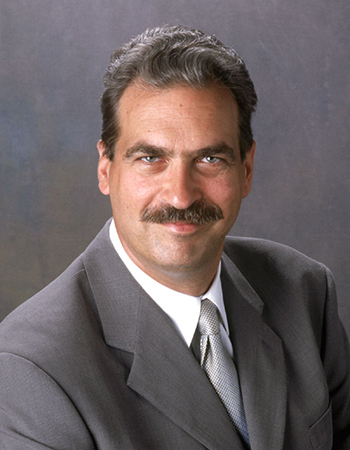 In his role at Kelly Services – which serves 99 percent of the Fortune 100 companies – Carl regularly consults with leaders of many of the largest, best-known corporations in the world, providing insight into labor trends and advising on flexible workforce strategies. His company’s solutions and his clients’ needs span the Americas, Asia-Pacific, and EMEA, and Carl is a frequent speaker at international conferences on human resource strategies, leadership, and changing labor dynamics. His varied educational and professional background gives him a unique perspective on the changing world of work. 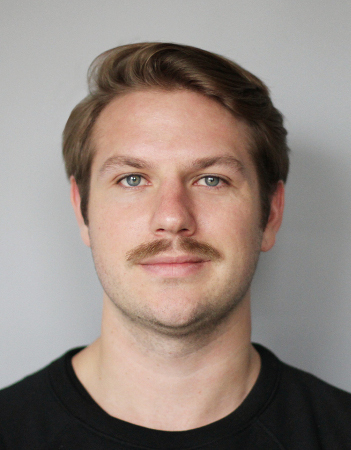 With three degrees (including a PhD) by the age of 25, Carl has been a marketing executive for a bank holding company; co-president of an advertising agency; co-founder of a behavioral research group; and a tenured university professor. 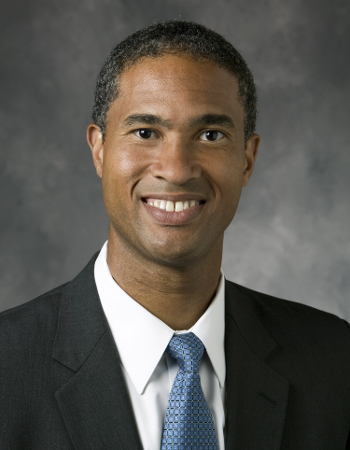 He is frequently invited to speak to students and faculty at business schools throughout the U.S.
Carl serves as co-chair of the Board of Trustees of the Committee for Economic Development and is a member of the Business Roundtable, an association of chief executive officers of leading U.S. companies. He serves as a director of Temp Holdings, Co., Ltd. (“THD”), which is one of the largest staffing firms in Japan and the Asia Pacific market. Carl is well-known for being a passionate advocate for the free agent workforce. He has served on the American Staffing Association’s board of directors, and received awards from international workforce agencies for his significant contributions to improving the workforce development system. Carl has been featured in Business Week, The New York Times, Huffington Post, Bloomberg, and numerous other media on topics ranging from labor force dynamics to health care reform to leadership in an increasingly global business climate. Carl also appears regularly on CNBC to provide insight into the changing labor market. 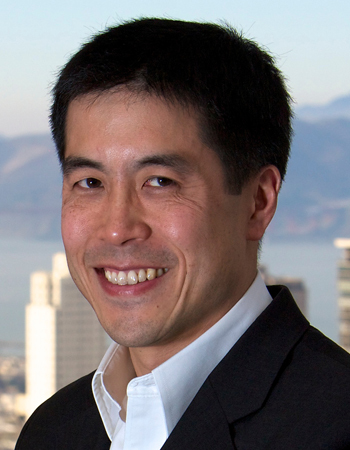 Michael Chui is a Partner in the McKinsey Global Institute. He is based in San Francisco, CA, where he directs research on the impact of disruptive technologies, such as data & analytics, social media, the Internet of Things, artificial intelligence, robotics, and automation, on business and the economy. As a McKinsey consultant, Michael served clients in the high-tech, media, and telecom industries on multiple topics. Michael is a frequent speaker at major global conferences and his research has been cited in leading publications around the world. Michael holds a B.S. in Symbolic Systems from Stanford University and earned a Ph.D. in Computer Science and Cognitive Science, and a M.S. in Computer Science, from Indiana University. 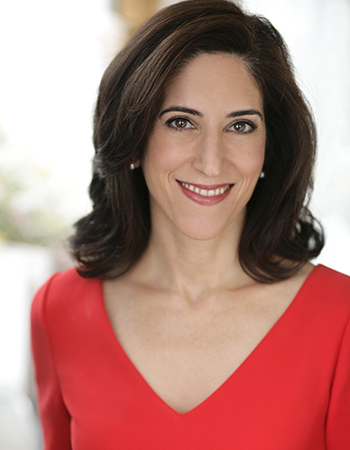 Foroohar graduated in 1992 from Barnard College, Columbia University. She lives in Brooklyn with her husband, the author John Sedgwick, and her two children. 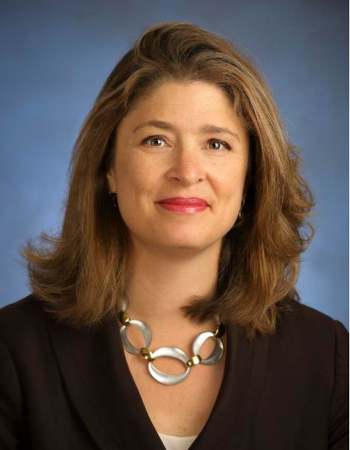 Diana Farrell is the founding President and Chief Executive Officer of the JPMorgan Chase Institute. Previously, Diana was the Global Head of the McKinsey Center for Government, and the McKinsey Global Institute. Diana served in the White House as Deputy Director of the National Economic Council and Deputy Assistant to the President on Economic Policy from 2009-2011. During her tenure, she led interagency processes and stakeholder management on a broad portfolio of economic initiatives. Diana also coordinated stakeholder engagement around the passage of the Dodd-Frank Act and served as a member of the President’s Auto Recovery Task Force. Diana has a B.A. from Wesleyan University and holds an M.B.A. from Harvard Business School. Katy’s 20-years of client service have focused on manufacturing strategy and performance; end-to-end supply chain optimization; and quality system effectiveness. She has worked with companies in setting operations strategy; making technology platform decisions; understanding the impact of digital technologies on the end-to-end supply chain; defining and launching new operations organization structures and operating models, and optimizing supply and manufacturing performance. 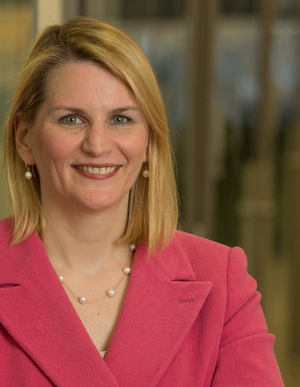 Katy has led McKinsey’s Quality Roundtables in the pharmaceutical and medical device industries, helping to convene industry and regulators around common objectives. She has led multi-client benchmarking around total cost of quality, compliance effectiveness, and risk-management. In recent years, Katy has focused on advanced technology development and adoption in the manufacturing sector. Katy co-leads McKinsey’s partnership with the Digital Manufacturing and Design Innovation Institute (DMDII) which is a 250-member consortium of leading government, academic and corporate organizations. Katy’s publications include “Manufacturing the future: The next era of global growth and innovation” (2013), “Next-shoring: A CEO’s Guide” (2014), “Industry 4.0: How to Navigate the Digitization of the Manufacturing Sector (2015), “The Impact of Automation on the Future of Enterprise and Nature of Work” (2015), and “Harnessing Automation for a Future that Works” (2016). Prior to joining McKinsey, Katy worked as an associate analyst at National Economic Research Associates. She holds a high honors degree in economics and government from Oberlin College and a Ph.D. in Business Economics from Harvard University. Her doctoral work focused on production system design and supply chain improvements in assembly industries. Her scholarship focuses on religious minorities and the formation of national identity in the eighteenth and nineteenth-centuries. 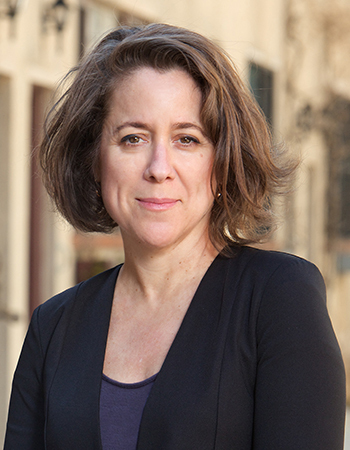 She is most recently author of Greece – A Jewish History (Princeton University Press, 2008), which has won numerous prizes, among them the National Jewish Book Award and the Runciman Award. Professor Fleming is currently PI for a major oral history project in Greece, supported by the Stavros Niarchos Foundation. Deputy Mayor Alicia Glen leads the de Blasio administration’s efforts to grow and diversify New York City’s economy, invest in emerging industries across the five boroughs, build a new generation of affordable housing. On her watch, the City has undertaken the biggest affordable housing plan in the nation’s history, and is building more new affordable homes than under any previous administration. The Deputy Mayor has made it a citywide priority to secure and expand modern space for hi-tech manufacturing and innovation firms, making unprecedented investments to make New York City more competitive. She has launched new programs focused on increasing the earning power of women, and making it easier for women entrepreneurs to grow and lead companies. She has spearheaded the administration’s efforts to expand infrastructure from CitiBikes, to ferries, to broadband, to keep New York City competitive. Coming from the private sector, she has applied a career of experience to strike deals that protect the public sector and spur economic growth, and to spread the city’s prosperity to neighborhoods that have historically been left behind. She is a born and raised New Yorker, and she has built a deserved reputation as one of the toughest, savviest people in the business—but also someone who is truly mission-driven, and cares deeply about the people she serves. 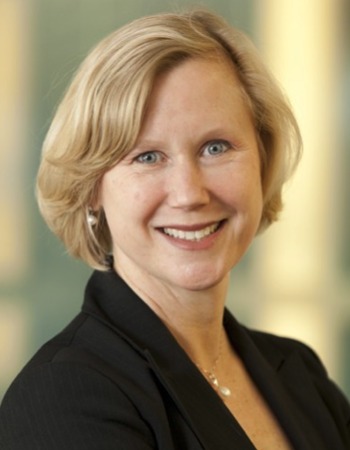 Susan Lund is a partner of McKinsey & Company and a leader of the McKinsey Global Institute. She is an expert on global labor markets, finance, and trade. Her latest research provides new evidence on the size and motivations of the independent workforce in the United States and Europe, Independent work: Choice, necessity and the gig economy. Recent research has examined the emergence of digital finance and mobile money in developing countries; how globalization is evolving in the digital era; the continuing accumulation of global debt and potential risks; and growth prospects for African economies in an era of lower commodity prices. Susan has an active travel schedule discussing research findings with CEOs and other executives at global Fortune 500 companies and she is a frequent speaker at global conferences. She has authored numerous articles in leading business publications, including Harvard Business Review, The Financial Times, The Wall Street Journal, and The Washington Post, and Foreign Affairs. Susan is a member of the Council on Foreign Relations, the National Association of Business Economists, and the Conference of Business Economists. She holds a Ph.D. from Stanford University and a B.A. from Northwestern University. She has lived and worked in Africa and Asia and currently resides in Washington, DC. As Freelancers Union’s Founder and Executive Director, Sara Horowitz has been helping the new workforce build solutions together for over two decades. Sara is a leading voice for the emerging economy. Today, 55 million Americans are independent workers – more than one-third of the entire workforce. With a membership of more than 350,000 nationwide, Freelancers Union is building a new form of unionism and developing social purpose businesses to support the new workforce and be sustainable for the long-term. 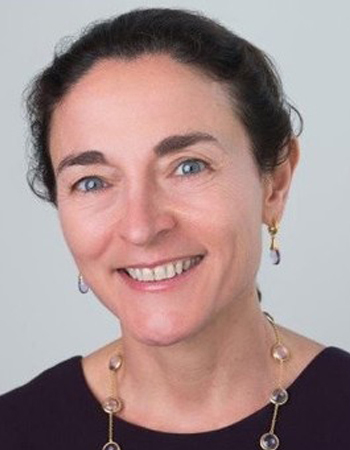 Sara is currently the Chair of the Board of the Federal Reserve Bank of New York, received a MacArthur Foundation fellowship, was recognized as a Global Leader for Tomorrow at the World Economic Forum, and received the Eugene V. Debs Award for her contribution in building the labor movement for gig workers. 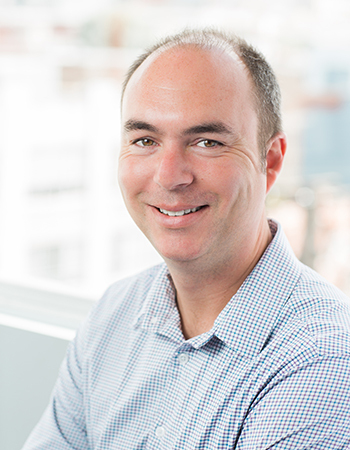 As CEO of Upwork, Stephane is driving the company’s vision of connecting businesses with talent faster than ever. In today’s competitive job market where most face the challenging war for talent, he has mastered how to find, attract and retain highly skilled talent. At Upwork (formerly Elance-oDesk), he built and led a distributed team of more than 300 engineers located around the world as SVP of Engineering before ascending to be CEO of the company. His eBook Hire Fast & Build Things details how to think bigger and find the best technical talent to power your business — but his expertise goes beyond just engineering. He has applied his knowledge to nearly every industry — from customer service to design to law — experience that earned him his current role leading the company in its quest to reimagine work. Stephane holds an MBA from INSEAD, Master’s from Stanford in Computer Science and a BS from Ecole Polytechnique in France. Learn more about his perspective by viewing his recent keynote at MIT Technology Review’s EmTech Digital and Q&As on Bloomberg View and CareerDean. 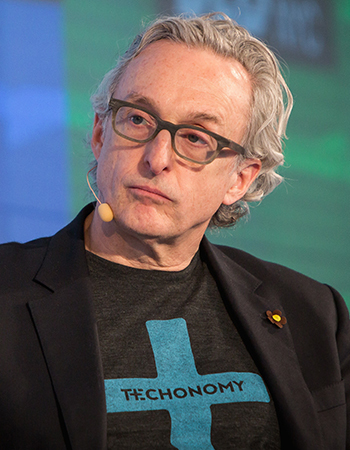 David Kirkpatrick is a journalist, technology commentator, and the founder of Techonomy Media. Its conferences bring together leaders from tech, business, academia and government to discuss the role of tech in progress. Techonomy events are not tech conferences, but rather are about how tech is changing everything else. The annual flagship event is in Half Moon Bay, California on Nov. 5-7, 2017. Techonomy Health is May 16, in New York, followed by Techonomy NYC on May 17. At Techonomy 2016, Kirkpatrick interviewed Facebook's Mark Zuckerberg, among many other eminent speakers. Past participants have included Salesforce's Marc Benioff, Cisco's John Chambers, Twitter & Square's Jack Dorsey, entrepreneur Sean Parker, Commerce Secretary Penny Pritzker, and Kaiser Permanente's Bernard Tyson. Kirkpatrick's book “The Facebook Effect: The Inside Story of the Company That Is Connecting the World” is in 32 languages. He spent 25 years at Fortune, where he founded and hosted the Brainstorm and Brainstorm Tech conferences. He writes at Techonomy.com, is contributing editor at Bloomberg Television, and a member of the Council on Foreign Relations. Dr. Mona Mourshed leads McKinsey & Company’s Global Education Practice and is a senior partner with the Washington DC office. She supports public, private, and social sector institutions across the world to achieve outcomes improvement in higher education, school systems, and youth employment; and, she has authored multiple reports and articles on these topics. 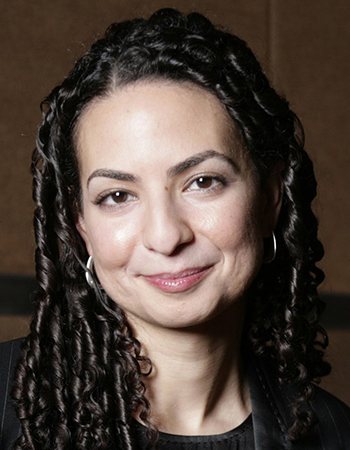 Mona serves as the Board of Directors’ Vice President of the McKinsey Social Initiative, an independent non-profit. She leads its first effort, Generation, which in two years since launch, has become the one of the world’s largest global employment programs that trains and places disconnected youth in jobs. Mona was selected as one of Fortune Magazine’s ’40 under 40’, serves on the Board of Governors of the International Baccalaureate Organization, and is a member of the global advisory council of Teach for All. She has a B.A. from Stanford University and a Ph.D. from MIT. Mike is the Chairman and CEO of Arena. Arena applies data and predictive analytics to talent, hiring, and team assembly with a particular focus on healthcare. After having difficulty selling the core technology in Arena, Mike started a software engineering business called Catalyst DevWorks as the first customer for the technology. Mike grew Catalyst meaningfully (Catalyst today applies predictive analytics to assemble software engineering teams, with a headcount of approximately 300 offering technology and services to clients such as Starwood, Choice Hotels, JPMorganChase, Cambia Health, and Red Hat), Mike spun Arena out as a separate company in 2010 to focus on licensing Arena’s technology into the healthcare market. After deploying to 7 early adopter clients in 2010, Arena spent two years collecting data and iterating the product for the hospital and long term care markets, and in 2012 started deploying beyond its initial customer base. Today, Arena is deployed into over 400 healthcare organizations who together process over 4 million job applications per year. Its clients include Mount Sinai Health System, Sunrise Senior Living, Multicare Health System, Curo Health Services, and LifeBridge Health. Mike had started down an academic career trajectory, but instead became an entrepreneur to prove out concepts he had begun to develop around the implications of an inefficient labor market. 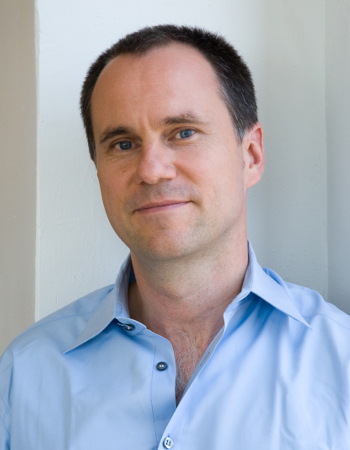 Prior to starting Catalyst and Arena, Mike was a John M. Olin Fellow in Law and Economics at Harvard, and earlier served at the White House as an economist, at the U.S. Department of State on trade issues and issues related to the former Soviet Union, and at Coopers & Lybrand in the Russian Federation on privatization and commercialization in the early 1990’s. His academic work was focused on the application of data to the most subjective areas of human endeavors, and published articles in that area in the Stanford Law and Policy Review and in the Harvard John M. Olin Center for Law, Economics and Business Series. Mike serves as a trustee of Bryn Mawr School and of the Baltimore Museum of Art, where he chaired the search committee for the BMA’s director. He is a past board member of the Family Tree and the Leadership Council of the Open Society Institute, a former chair of Maryland IT PAC, and a former president of the Harvard Club of Maryland. Mike has a JD from Harvard Law School, an MSc in Economics from the London School of Economics and Political Science, and a BA from Harvard College. 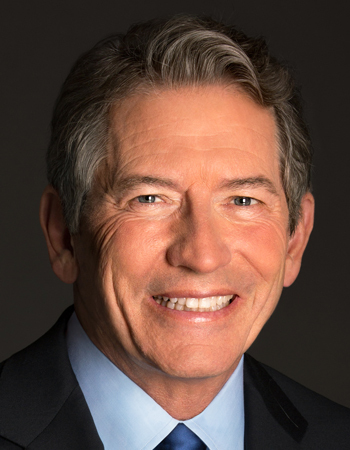 Tom Siebel is the chairman and CEO of C3 IoT, an enterprise software and platform company that applies big data, advanced analytics, social networking, machine learning, and cloud computing to enable the rapid development and deployment of large-scale SaaS applications for the Internet of Things. As founder of Siebel Systems, one of the fastest-growing software companies, Siebel built the foundation of the CRM market. Siebel Systems became a leader in application software with revenue exceeding $2B before merging with Oracle in 2006. Siebel is the Chairman of the Siebel Energy Institute, and serves on the College of Engineering boards at the University of Illinois at Urbana-Champaign and UC Berkeley. He is a director of the Hoover Institution at Stanford University and is a member of the American Academy of Arts and Sciences. Siebel received a B.A., MBA, and M.S. in computer science from the University of Illinois, Urbana-Champaign. 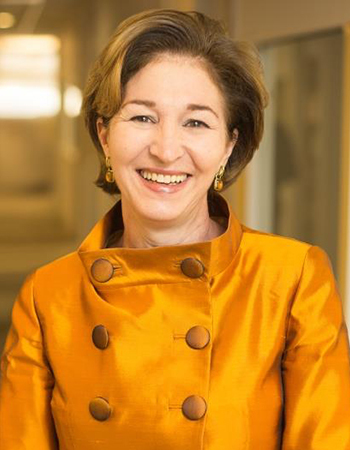 Anne-Marie Slaughter is the President and CEO of New America and the Bert G. Kerstetter ’66 University Professor Emerita of Politics and International Affairs at Princeton University. From 2009-2011 she served as the director of Policy Planning for the United States Department of State, the first woman to hold that position. Prior to her government service, Dr. Slaughter was the Dean of Princeton’s Woodrow Wilson School of Public and International Affairs from 2002–2009 and the J. Sinclair Armstrong Professor of International, Foreign, and Comparative Law at Harvard Law School from 1994-2002. 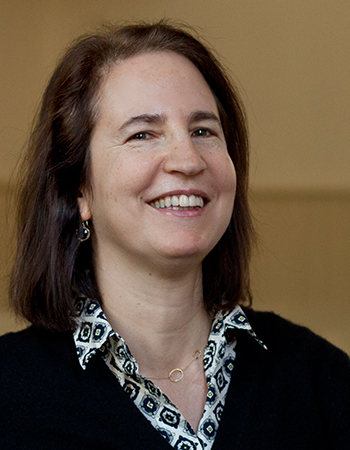 She has written or edited seven books, including “the Chessboard and the Web: Strategies of Connection in a Networked World”, “Unfinished Business: Women Men Work Family”, and “A New World Order”, and is a frequent contributor to a number of publications, including The Atlantic, Financial Times, and Project Syndicate. In 2012, she published “Why Women Still Can’t Have It All,” in The Atlantic, which quickly became the most read article in the history of the magazine and helped spark a renewed national debate on the continued obstacles to genuine full male-female equality. She is married to Professor Andrew Moravcsik; they live in Princeton with their two sons. 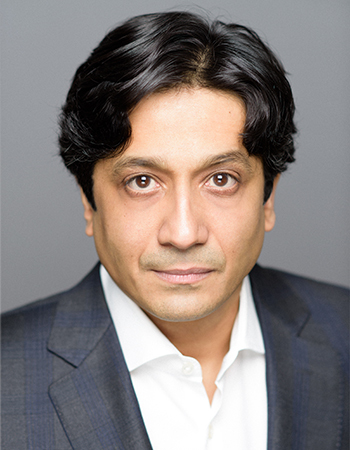 Arun Sundararajan is Professor and the Robert L. and Dale Atkins Rosen Faculty Fellow at New York University’s (NYU) Stern School of Business, and an affiliated faculty member at many of NYU’s interdisciplinary research centers, including the Center for Data Science and the Center for Urban Science and Progress. His new book, “The Sharing Economy, published by the MIT Press in June 2016, was a winner of the 2017 Axiom Best Business Books Award. Arun’s research studies how digital technologies transform business, government and civil society. He has published over 50 scientific papers in peer-reviewed academic journals and conferences, and over 30 op-eds in outlets that include The New York Times, The Financial Times, The Guardian, Wired, Le Monde, El Pais and The Nikkei. His scholarship has been recognized by six Best Paper awards, two Google Faculty awards, and a variety of other grants. He has provided expert input about the digital economy as part of Congressional testimony, testimony to the European Parliament, and to numerous city, state and federal government agencies. Arun is a member of the World Economic Forum’s Global Futures Council on Technology, Values and Policy, a Fellow of the Urban Design Forum, and serves as an advisor to numerous organizations that include the City of New York, the City of Seoul, the Female Founders Fund, the Internet Society of China, OuiShare, the National League of Cities, the Royal Society for the Arts and the Center for Global Enterprise. He interfaces with tech companies at various stages on issues of strategy and regulation, and with non-tech companies trying to understand how to forecast and address changes induced by digital technologies. 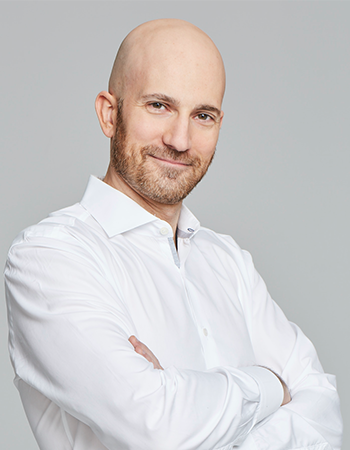 He teaches in a range of NYU Stern executive education programs in the U.S., Europe and Asia, focusing primarily on digital strategy and governance. He teaches full-time MBA students about hi-tech entrepreneurship, undergraduates about networks, crowds and markets, and doctoral students about digital economics. 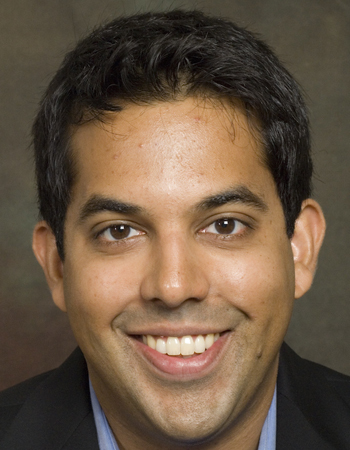 Prasanna Tambe is an Associate Professor at the New York University Stern School of Business. His research focuses on the economics of technology and skills. Recent research projects focus on understanding how leading firms compete for high-tech labor and why cities differ in the technical skills that are available to employers. His published papers have extensively analyzed data from online job sites, data aggregators, and other labor market intermediaries that generate very large databases of fine-grained information on workers’ skills and career paths or on employers’ job requirements. He is a co-author of "The Talent Equation: Big Data Lessons for Navigating the Skills Gap and Building a Competitive Workforce," published by McGraw Hill in 2013. 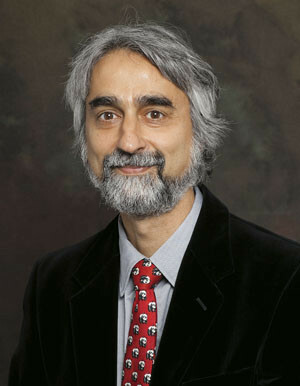 His research has been published or is forthcoming in a number of academic journals including Management Science, Information Systems Research, The Review of Financial Studies, Industrial and Labor Relations Review, Communications of the ACM, and Information Economics and Policy and it has been supported by the Alfred P. Sloan Foundation. Professor Tambe received his S.B. and M.Eng. from the Massachusetts Institute of Technology and his Ph.D. from the Wharton School of the University of Pennsylvania. Jeff Wald is the Co-Founder and President of Work Market, a cloud software platform for managing variable labor resources. Jeff has founded two other technology companies, including Spinback, a social sharing platform (eventually sold to salesforce.com). Jeff began his career in finance, serving as a Managing Director at activist hedge fund Barington Capital Group, a Vice President at Israeli venture firm GlenRock and various roles in the M&A Group at JP Morgan. He is an active angel investor and startup advisor, as well as serving on numerous public and private Boards of Directors. Jeff holds an MBA from Harvard University and an MS and BS from Cornell University. He also formerly served as an officer in the Auxiliary Unit of the New York Police Department and is a Producer of the Tony Award Winning Best Musical, “A Gentleman’s Guide to Love and Murder”. Jeff is a regular writer in Huffington Post and Forbes and speaks widely at conferences and television on startups and labor issues. Jeff was named “One of the 2017 ‘100 Most Influential People’ in Staffing” by the Staffing Industry Analysts. 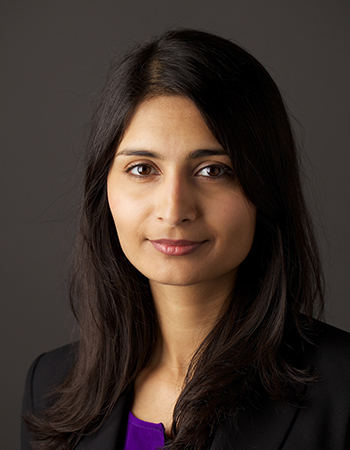 Saadia Zahidi is a Member of the Executive Committee and Head of Education, Gender and Work at the World Economic Forum. Under her leadership, the Forum’s teams in these areas produce new insights, develop strategies for businesses and governments and mobilize leaders to work together to drive progress on closing skills gaps, achieving gender equality and preparing for the future of work. Saadia founded and co-authors the Forum's Global Gender Gap Report, Human Capital Report, Future of Jobs Report and several other publications. Her previous responsibilities at the World Economic Forum have included leading the civil society and international organization portfolios and serving as an Economist with the Forum’s Global Competitiveness Programme. She was selected as one of the BBC's 100 Women and won the inaugural FT/Mckinsey Bracken Bower Prize for prospective authors under 35. Her book, Fifty Million Rising, on womenomics in the Muslim world, will be released in the fall of 2017. She holds degrees in economics and public administration from Smith College, the Graduate Institute Geneva and Harvard University. Peter Blair Henry is the Dean of New York University’s Stern School of Business and a former Professor of International Economics at Stanford University. He is also the author of TURNAROUND: Third World Lessons for First World Growth (Basic Books, 2013). In 2008, Peter led Barack Obama’s Presidential Transition Team in its review of international lending agencies such as the IMF and World Bank. A member of the Federal Reserve Bank of New York's Economic Advisory Panel, a member of the board of the National Bureau of Economic Research (NBER), the Council on Foreign Relations, Citi, and General Electric, in 2015, Peter was awarded the Foreign Policy Association Medal, the highest honor bestowed by the organization. Peter received his PhD in economics from MIT and Bachelor’s degrees from Oxford University, where he was a Rhodes Scholar, and the University of North Carolina, where he was a Morehead Scholar and a finalist in the 1991 campus-wide slam dunk competition. Born in Jamaica, Peter became a US citizen in 1986. He lives in New York City with his wife of 20 years and their four sons. Richard Kelly is a Partner in McKinsey & Company, where he is a convenor of McKinsey’s Industry 4.0 / Digital Manufacturing service line and leader in the Firm’s North American Advanced Industrials and Manufacturing practices. 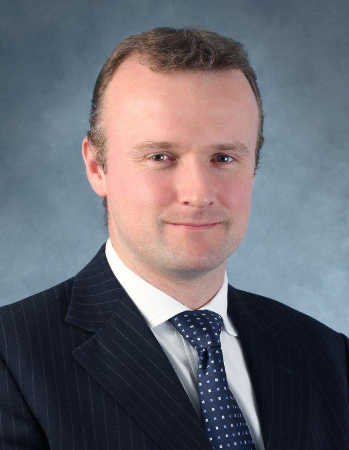 Richard has spent more than 15 years with McKinsey in the UK, Australia and, most recently, North America. He serves companies across a range of manufacturing-based sectors on 'traditional' and advanced operations topics. Richard has a BA in Chemistry and PhD in Organic Chemistry from the University of Oxford and an MBA from London Business School. Eduardo Porter writes the Economic Scene column for The New York Times. Formerly he was a member of The Times’ editorial board, where he wrote about business, economics, and a mix of other matters. Mr. Porter began his career in journalism over two decades ago as a financial reporter for Notimex, a Mexican news agency, in Mexico City. He was deployed as a correspondent to Tokyo and London, and in 1996 he moved to São Paulo, Brazil, as editor of América Economía, a business magazine. In 2000, Mr. Porter went to work at The Wall Street Journal in Los Angeles to cover the growing Hispanic population. 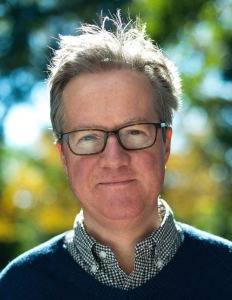 He joined The New York Times in 2004 to cover economics. Mr. Porter was born in Phoenix and grew up in the United States, Mexico and Belgium. He graduated with a degree in physics from the Universidad Nacional Autónoma de México and has an M.Sc. in quantum fields and fundamental forces from the Imperial College of Science and Technology in London. He has a son, Mateo, and lives in New York. 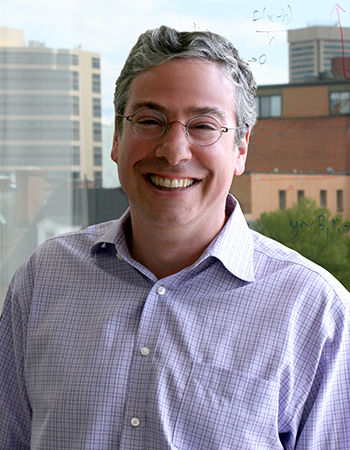 Jeremy Shapiro is a Senior Program Officer in the Financial Services for the Poor team at the Gates Foundation. He holds a PhD in Economics from the Massachusetts Institute of Technology and has conducted research as a Post Doctoral Associate and Associate Research Scholar at Yale and Princeton Universities. His research focuses on economic development and behavioral economics, including multiple impact evaluations in India, the Philippines, South Africa, Kenya and Peru. 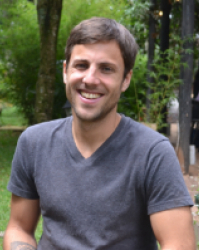 Jeremy is a co-founder and former director of GiveDirectly - an organization making direct cash transfers to low-income households in East Africa via mobile money technology. He is also a director of the Busara Center for Behavioral Economics, which conducts novel research in decision science and provides advisory services to the private, public and non-profit sectors. Founded in 2014 with a vision for building the operating system for the built world, Q now powers office operations for thousands of top companies nationwide, ranging from fast growing startups to the Fortune 500. Managed by Q has been recognized as a standard bearer of good jobs in the on-demand economy. The hallmark of Q’s business is its commitment to creating good jobs, and using technology to not only increase efficiencies, but economically empower communities. Dan has spoken about this business strategy at MIT Sloan, NYU, and Parsons School of Design, and has been recognized by the White House, Department of Labor, and others as a leading voice in the national conversation around the future of work. Prior to co-founding Q, Dan was a Partner at venture development firm prehype, co-creating startups with the world’s finest corporations and entrepreneurs. Dan has a background in community organizing and progressive politics in Baltimore, and is a graduate of Johns Hopkins University. Justin Fox is a columnist for Bloomberg View, writing about business. He started there in January 2015, after serving as editorial director and executive editor of the Harvard Business Review. He is the author of The Myth of the Rational Market: A History of Risk, Reward, and Delusion on Wall Street, which was a New York Times and Wall Street Journal bestseller, a New York Times Notable Book of 2009, and the Amazon.com editors’ choice as the best business book of that year. Before joining HBR in 2010, he wrote a weekly column for Time and created the Curious Capitalist blog for Time.com. Previously, Fox spent more than a decade as a writer and editor at Fortune magazine, and worked at several newspapers. 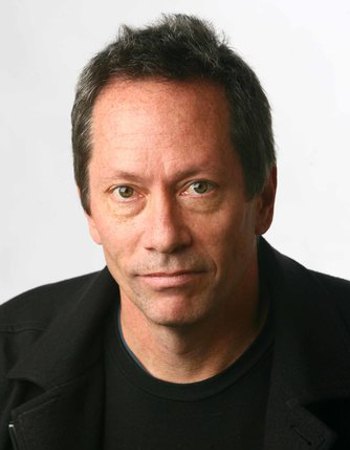 He has appeared frequently on radio and TV, including The Daily Show with Jon Stewart, and written for The Atlantic and The New York Times Book Review, among other publications. He has been a senior fellow at the Mossavar-Rahmani Center for Business and Government at Harvard Kennedy School and a Young Global Leader of the World Economic Forum. He lives in Manhattan with his wife, son, and dog. 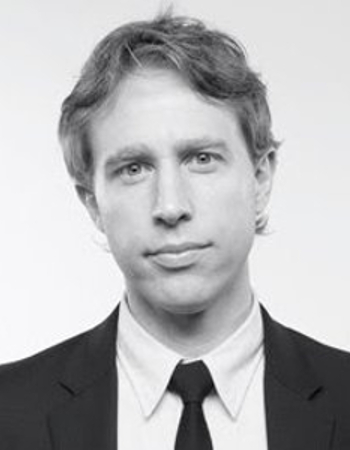 Luke Williams is an internationally recognized authority on Innovation Leadership. Before joining the Berkley Innovation Labs, he was a fellow at frog design, one of the world's most influential innovation companies. 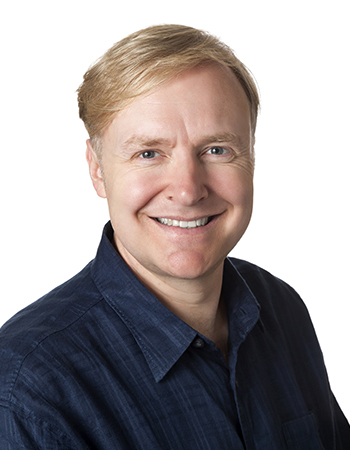 He has worked with industry leaders including American Express, GE, Sony, Crocs, Virgin, Disney, and Hewlett-Packard, to create breakthrough product, service, and business model solutions. Luke has been invited to speak worldwide, and his views have been featured in BusinessWeek, Fast Company, The Atlantic, and The Wall Street Journal. He is the author of Disrupt: Think the Unthinkable to Spark Transformation in Your Business (FT Press, 2011). Advances in digital technologies -- in particular, artificial intelligence (AI), robotics and machine learning -- lead many to believe we are entering a new phase of workforce automation. Robots and computers can not only perform a range of routine activities better and more cheaply than humans, but they are also increasingly imbued with cognitive capabilities once considered too difficult to automate successfully, such as tacit judgment and sensing emotion, portending the automation of human activities ranging from truck driving and factory work to medical diagnostics and project management. Is the imminent wave of automation truly different? Or, like generations before us, are we simply overreacting to the automation threats of our own era? 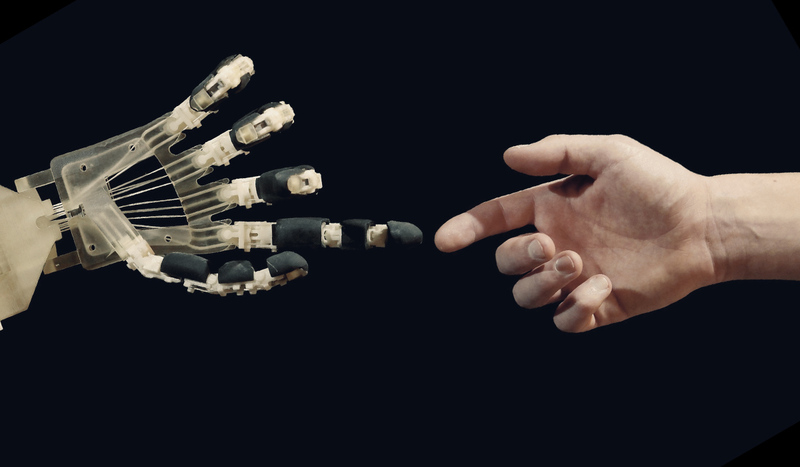 This panel will assess the state of AI and robotics-drive automation, and discuss what effects these changes are likely to have, with a focus on the imminent rather than distant future. - For an executive who isn’t a computer scientist, what’s a good way to think about AI and its capabilities. - We’ve been hearing about AI for decades. Now, suddenly, it seems to have “arrived.” What happened? - What are the kinds of decisions that AI systems make better than humans? Why? - What factors other than technological progress shape the pace of work displacement? Which industries are likely to see the effects of automation most saliently in the next five to ten years? - Is this time really different? Or will the latest wave of automation merely continue a trend? After all, most of human work associated with farming and craft was automated without leading to widespread unemployment. While automation may perform some of the tasks that people do, new models of work are emerging. The independent workforce - which includes freelancers, independent contractors, self-employed people, as well as people working through digital platforms in the "sharing economy" or "gig economy" -- is estimated to be between 25 - 30% of the working age population in the United States and Europe. Some people earn their primary income through independent work, while others use it for supplemental income, social engagement, or other reasons. These new modes of working are changing how companies deploy talent and organize their workforce, and how individuals manage their careers and livelihood. The new ways of working can create independence, flexibility, and higher earning potential for some - but might also create an endless series of dead-end, low-wage jobs for others. - How should we define the "gig economy"? How large is it? Temporary work and self-employment have always been around. Why are we talking so much more about these trends today? - Will new work arrangements suppress wages, particularly for low-skill workers, by creating more competition for that work? Or will on-demand platforms reverse the wage effects we have seen associated with skill-biased technical change? - How are new ways of working changing corporate organizational models and talent management? Countries around the world, most saliently the US, have invested heavily into creating universities and colleges that prepare their workforces early in life for a career of full-time employment, but have made no comparable investments into education for mid-career transitions. Could new university-like institutions that can fill this gap? Or are there alternative ways of providing structured and pedagogically sound transition education accompanied with a new professional network and access to new opportunities, imbuing workers in flux with a new identity and sense of purpose, rebuilding self-worth to allow transition with dignity. Perhaps seeking this sort of mid-career intervention should be as natural as choosing to go to college after high school, a new rite of passage. - What are the key new training, transition and career management challenges you anticipate in the next ten years? The next twenty? - What do you see as the key deficiencies in our current education infrastructure in meeting these future needs of society? - What exemplars in transition education have you encountered that might provide a roadmap for the future? - What role will digital technologies play in future education? - Do we need a government intervention like the 19th century Morrill Land Grant Acts? Or will the “market” provide sufficient educational innovation on its own? - What role can existing institutions (universities, companies, other stakeholders) play? While there is uncertainty over how rapidly automation and new models of working will transform the world of work, it is already clear that many of the labor and social policies of the industrial era are increasingly ineffective in the digital era. Recent political outcomes in the US and the UK speak to the potential reactions to a significant underinvestment into creating new opportunities for a workforce displaced by automation and ill equipped for a new world of work. Unemployment and underemployment spells may be structurally longer in the years to come, and require workers to obtain new skills. Wage growth - particularly for low-skill work - may be suppressed as machines compete with humans, making it more difficult to earn a living even for those who are working. New technologies are producing winner-take-all effects in corporate earnings, feeding growing inequality across society. Education that ends in a person's mid-20's does not provide the lifelong learning needed in a dynamic economy. - What are the most important public policy changes we might consider to ease the transition to the new world of work? - If automation and nonemployment work arrangements do indeed permanently reduce opportunities for human labor, what solutions should we consider? Income support? Capital decentralization? A redefinition of what productive humans do? - What role can and should large corporations play in providing a solution? - What role can other civil society institutions -- unions, universities, foundations, think tanks -- play? - How should individuals think differently about education, skills, careers and meaning? How can we help individuals make the shift in mindset needed? Use your thoughts from the cards distributed in the morning to join an interactive design session to shape the educational models that will prepare us for a new future of work! Imagine a world in which companies could radically scale their throughput, raise productivity, optimize their yield, improve speed to market, enhance customer service, and transform product design and prototyping. This world is almost within reach, thanks to rapid advances in automation technologies such as robotics and artificial intelligence (AI). It is a world in which quality is consistent and safety is ensured by machines that take over all hazardous activities. It is also a world in which it will be possible to combine scale, agility and customization, creating the ability to propagate mass changes across an entire organization instantaneously. The production of both goods and services will be affected. In the public debate on automation, much of the focus is on whether robots will replace humans in the workforce. While important, this debate has largely overshadowed other considerations that are of importance to companies, not just CEOs and other business leaders but their teams and workforce: the potential business benefits that automation offers beyond labor substitution. Join a session with McKinsey's world-class team that will delve into best practices and pitfalls to avoid when implementing automation technologies in the workplace. During the second half of the 20th century, we created a robust safety net improve the quality of work life for full-time employees—including minimum wages, overtime, and insurance. A number of other incentives—stable salaries, paid vacations, workplace training, and healthcare—are funded in many countries on the assumption that the model of work is full-time employment and the employer will provide all or part of the incentive. The design and funding of tomorrow’s social safety net must be adapted for a workforce that is increasingly independent, while also creating substitutes for the career paths and sense of community that a large number of workers now gets from the company they work for. Will this take the form of something radical, like a Universal Basic Income? Or do we need a more moderate set of innovations? Join a discussion with pioneering researchers and executives about the future of economic security in our evolving world of work.